In addition to the Champagne color. 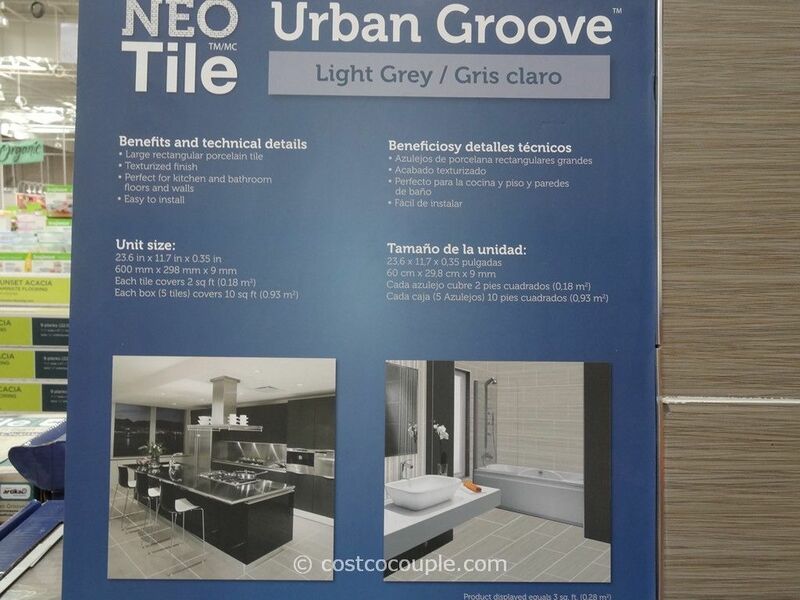 there’s also a Light Grey version of the Neo Tile Urban Groove Porcelain Tile. 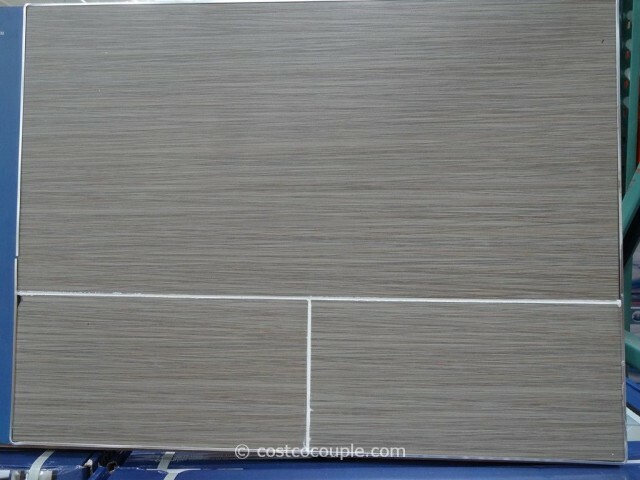 We chose a similar light grey tile in our master bathroom and it hides dust very well 🙂 We are also partial to large tiles. 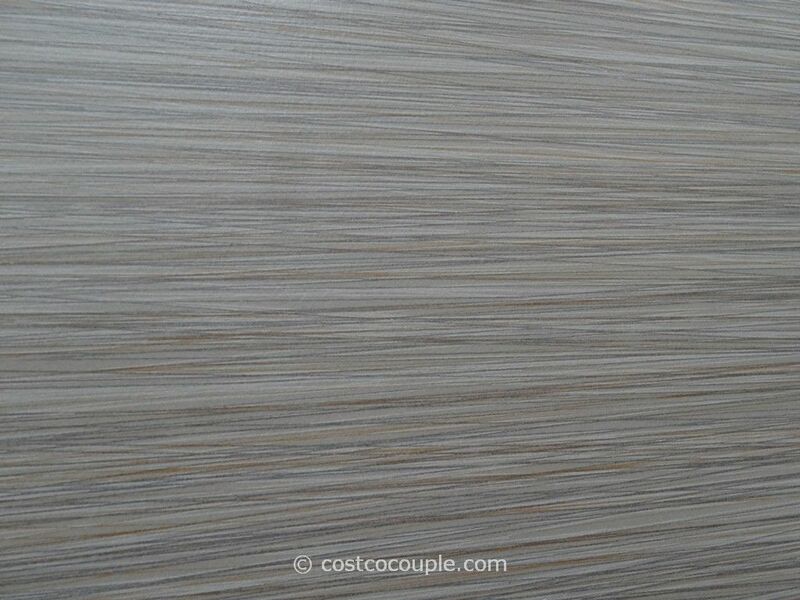 They look sleek and modern and less grout lines…all the better! 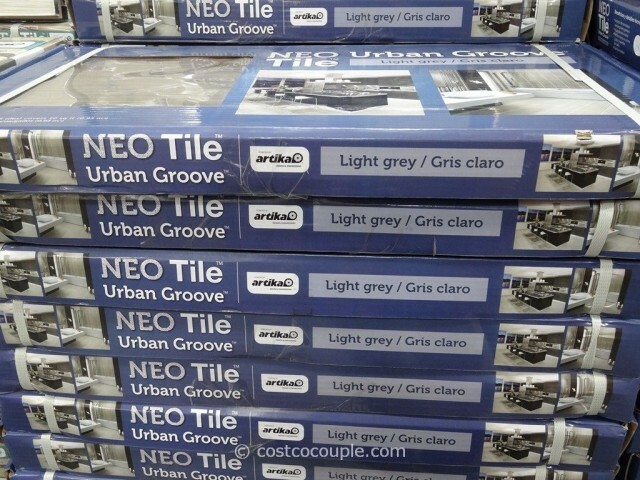 A box of Urban Groove Light Grey Porcelain Tile is normally priced at $17.99. 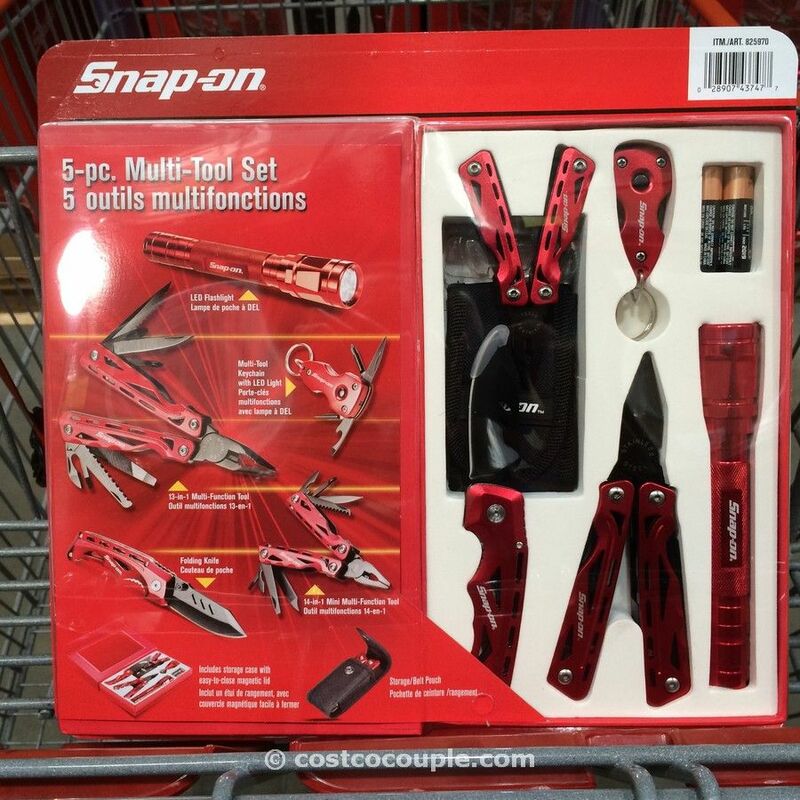 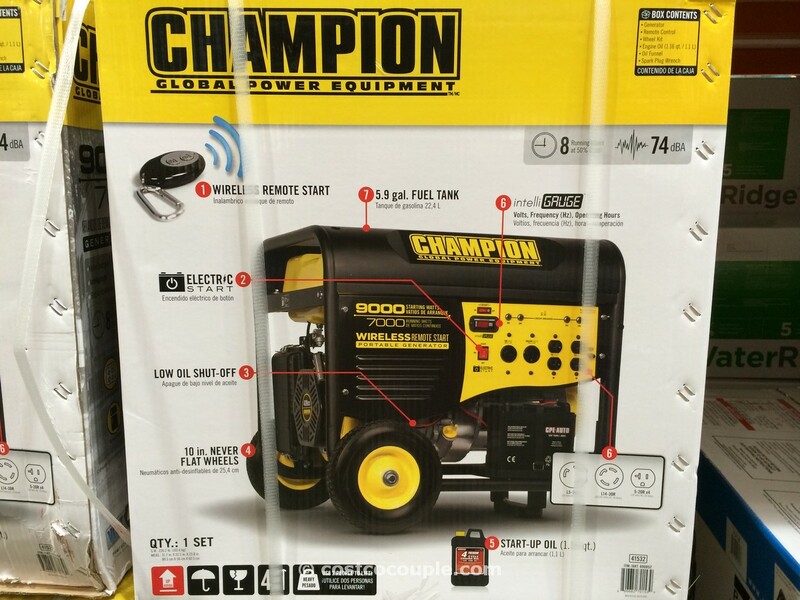 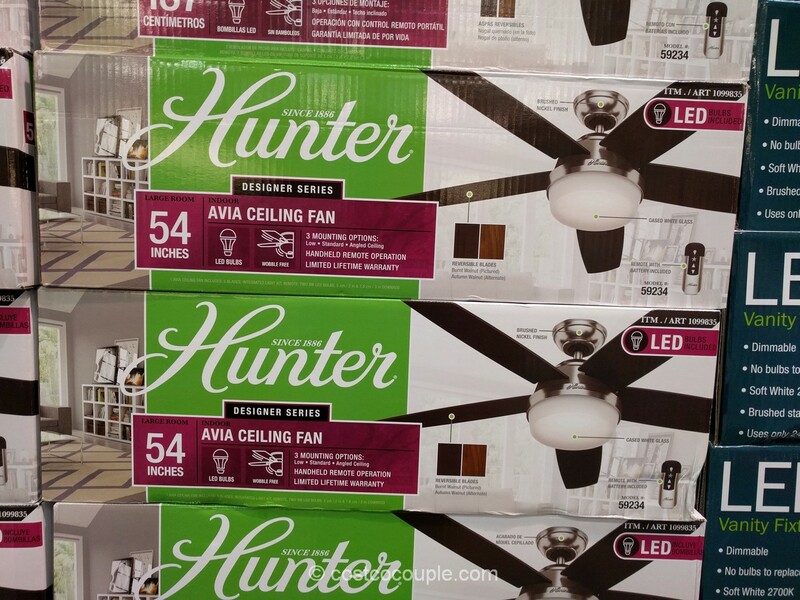 There’s currently a $3 instant rebate which reduces the price to $14.99. Unit price is $1.499 per square foot. 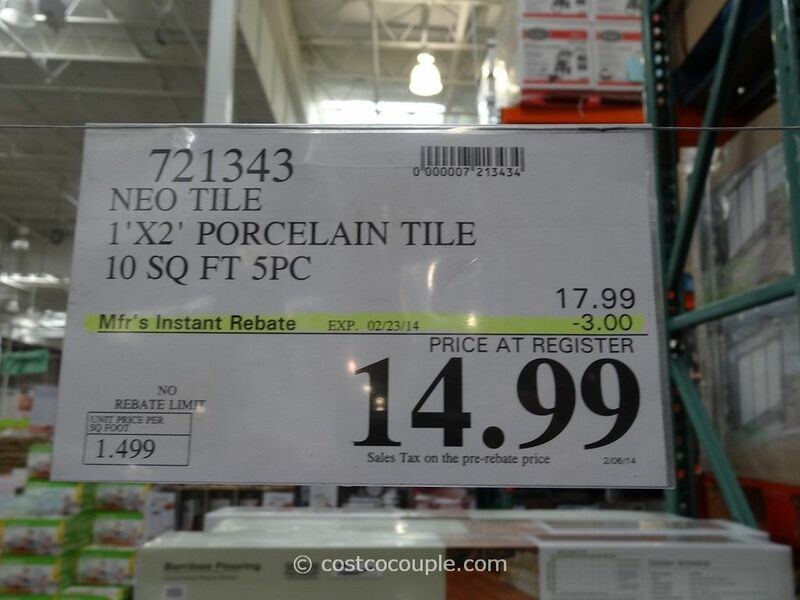 Discount is valid till 02/23/14.